One of my goals for 2014 is to be more cognizant of what skin products I use for my body. I have sensitive skin so I am always looking for those that have natural ingredients and of course, beneficial ones too. 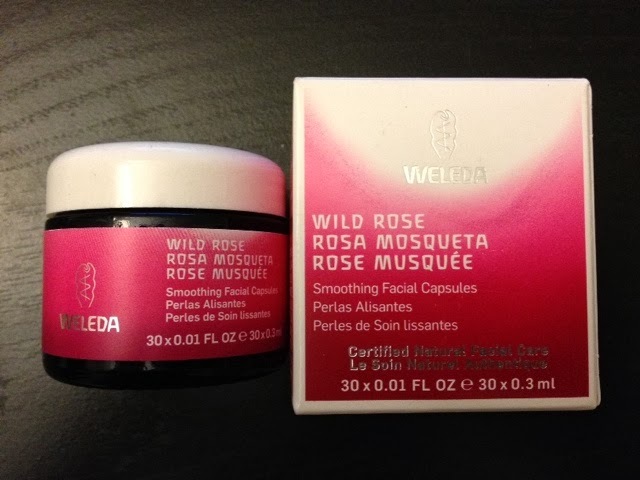 I have used Weleda products in the past, ranging from their Pomegranate facial serum to their body lotions and I'm so excited to learn about their new Wild Rose Smoothing Facial Capsules. This month-long skincare system (30 capsules in a jar) are intended for daily usage to revitalize your skin with its organic rosehip seed oil. Already a huge fan of facial oils, the oil from rosehip contains many benefits including restoring elasticity with vitamins C and lycopene and may even help with dark-spot correction. I didn't feel that it was too oily for my combo skin too which was nice and it smells wonderful. So far, I've been using this for a week and my skin has been feeling more smooth... amazing!! It also contains Sweet Almond, Jojoba and Evening Primrose oil. 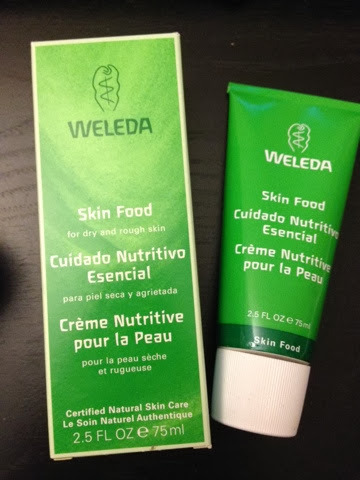 A Weleda favorite of mine is the Skin Food moisturizer. It's a life-savor for those battling dry and rough skin as I have this Winter season. Weleda's natural skincare product contains Sunflower seed oil, Sweet Almond oil, and even calendula to help soothe your skin and rough spots. My hands, feet and legs have been really dry and with a small amount of Skin Food, it's instantly moisturized. I use this several times a day to help with my dry skin.